3.5 / 5 Score from 5 reviews. 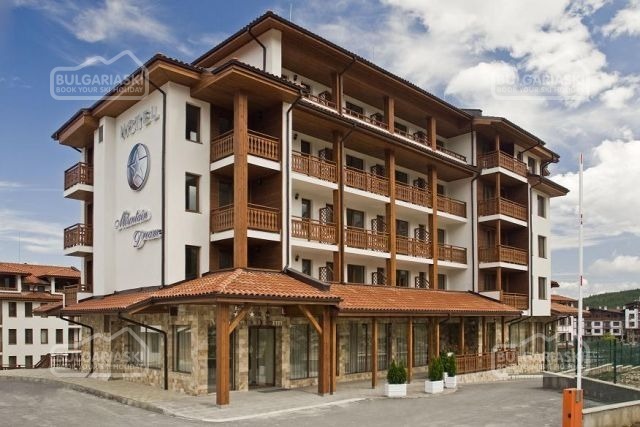 Location: Mountain Dream Hotel Complex is situated in Bansko residential area in close proximity to the ski slopes, 15 minutes from the downtown area and only 2 hours drive from Sofia. Accommodation: The hotel features 44 elegantly appointed and spacious guest rooms and 4 suites, equipped with high-quality amenities including satellite TV, non smoking rooms, mini bar, inroom safe deposit box, electronic locking system, bathtub, bathrobe, slippers and bathroom telephone. The Internet access in the rooms is free of charge. Mountain Dream Hotel offers also 12 apartments with 1 or 2 bedrooms, featuring fully equipped kitchenette for your convenience and include amenities such as oven, dishwasher and fridge. All apartments come with a balcony with outdoor furniture and several have a private fireplace (these are available upon request only). 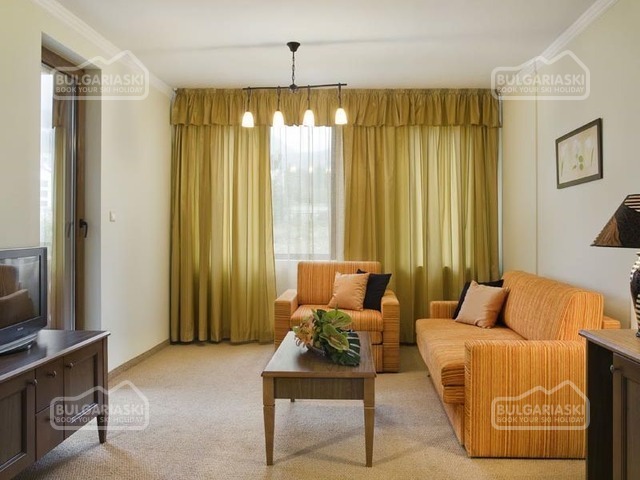 Complimentary bottle of wine and fruit basket on arrival and flower decoration for the guests of the apartments. Wine & Dine: In the “Valuni” Restaurant you will enjoy both the variety of delicious local, and international cuisine, excellent wine selection combined with relaxing atmosphere and most beautiful surrounding. SPA centre: The “Mountain Dream” Spa & Wellness features sauna, steam bath, hamam, fitness room, private massage rooms and spectacular indoor swimming pool. Conference facilities: The hotel offers 1 meeting room with a capacity of 50 persons with free High speed Internet access, interpreter services, dedicated meetings & events coordinator. 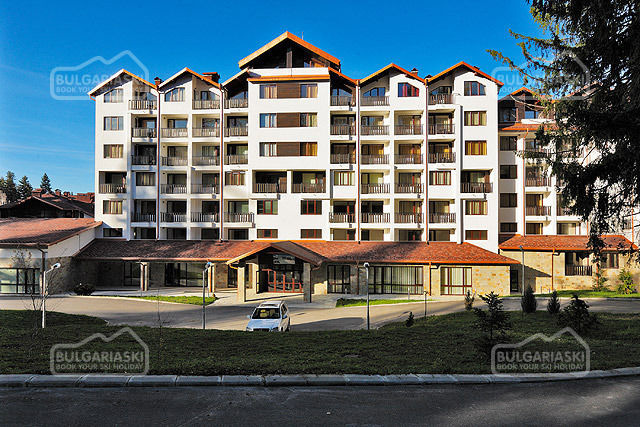 Please, post a comment on Mountain Dream Hotel in Bansko.